Energy changes with time. Therefore time dimension cannot be ignored in feng shui practice besides studying the energy of a space based on direction, shape and landscape. Chinese measure time with both lunar and solar calendars. However, the solar calendar is used to study time dimension feng shui and this calendar is known as Hsia calendar. This method of feng shui is known as San Yuan (Flying Stars). If you know Flying Stars map, there are numbers 1 to 9 that fills up a tic-tac-toe, thus there are altogether 9 periods of time. Each period will last for 20 years and a complete cycle will take 180 years. Period 8 starts on 4th Feb 2004 and will end in 2023. Earth's magnetic forces are always in constant movement according to planetary bodies's movement, naturally feng shui influences do not stay constant. For example, every 20 years, Saturn and Jupiter come into a new alignment and when such alignment occurs, the repercussions will be fully felt in the few years' time. Period 8 is symbolized by Ken Trigram in the bagua. It is being represented by mountain, young man and is of earth element. The new feng shui cycle will therefore witness an unusual number of young men who will be world famous. Schools and universities will blossom and young entrepreneurs will rise to stardom. Businesses associated to teenagers and young adults will also become more successful. Period 8 will also see the Northeast corner having good luck globally. Any sectors in the northeast will have high influence on the world, such as China, Japan and New York. Homes facing northeast will be extremely auspicious. And sectors located in Northeast will become very awesome. Citrine Tree being identified as the Wealth Tree in Period-8. In Period 8, the most auspicious color will be yellow which is earth color and auspicious objects include ceramics, crystals, earth-made items, clay ornaments and decorative stones. These represent the earth element. Therefore, the yellow diamond, citrine, yellow fluorite or yellow jasper crystal had been identified by Feng Shui Masters to be the most auspicious jewellery or ornament to own. Good fortune symbols crafted out of these stones will be especially important as effective enhancers. Yellow jasper crystals being identified as the most auspicious wealth enhancer in Period-8. As one also know, the Dzi beads made from agate crystal have recently flourished to become extremely popular due its strong earth energy. There is on dzi that is specially beneficial in Period 8. One should consider looking for the 8 Eyes Dzi if he or she desired to tap the Period 8 energy. Land and prices of properties will increase in Period 8 because earth energy is very important. Properties and industries related to construction will be the major investment of people and most likely be the best form of money making opportunity. Health and relationships will exert far greater influences than money and wealth creation in Period 7. There will be greater advances in medical research which offer improvement in health. But if you know how to activate your wealth luck, you will go far beyond riches and power. There will be many of millionaires that will rise from young people. 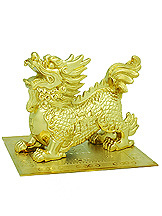 One can cleverly use powerful images of the dragon which is the most powerful foundation of feng shui to maximize your wealth luck. The best being the Nine Dragons. They come together to create an unusually high form of power which is essential for rapid multiplication of economic advancement and financial opportunities. The number "8" will be the reigning number of Period 8, and therefore will be the luckiest number in the 20 year cycle. We can tap into its luck by displaying it in our surrounding to attract extra good fortune to us. Houses with number "8", number plates having the number "8", telephone numbers with number "8" would be very popular as the number "8" is so auspicious. One of the 8 auspicious objects in Buddhism, the "mystic knot" would have the most powerful influence in this period. If you look at it carefully, it has the continuous number of "8" being drawn many times. Display this potent symbol in your surrounding to tap good luck from it, especially the ones made from stones and earth material. Also, the shape of bagua, being eight-sided, would therefore be the most auspicious of all. Therefore feng shui symbols incorporating the bagua shape properties will be more auspicious in Period 8. The presence of 8 sided bagua in Period 8 will be extremely powerful to ward off bad luck and bring in good luck. Therefore it is recommended that everyone of us carry something that represents bagua with us all the time. The easiest to carry is the Bagua Horoscope coin, which is a strong talisman to help us counter bad luck and improve good luck. Auspicious items in the multiplication of 8 would generate extra enhancing properties. A good example of this would be the eight rod windchime, that would bring unlimited good fortune into our homes. Also, Taoist deities such as the 8-Immortals would be extremely powerful and important in Period 8. It is said that the 8-Immortals are still living on earth till today and they will visit homes of those who have their images displayed. We have numerous friends, relatives and customers on several occasions claiming that they have their homes visited by the deities and got so much blessings and good luck. It is best to place all the individual immortals in 8 directions to harness maximum energy from all the directions as each of them represent a direction of blessings. Because of the potency of the number 8 in period 8, it is therefore important to place wealth symbols such as gold ingots, carps and money frogs in the multiplication of 8 in your wealth corners such as the southeast, your personal sheng chi corner and the location where water star #8 is. For example, auspicious carps kept in the multiplication of eight would be magnificent. Multiply your inflow of cash and wealth luck by keeping a beautiful wealth vase in your premises, filled with gold ingots, gemstones, Chien Lung coins and all the other vital ingredients. Wealth vase were the main means of wealth energy storage by the wealthiest tycoons and people who got rich from using feng shui in ancient times, and making the power and wealth stay with the family for centuries after centuries. That is the reason why the wealth vase was so popular among tycoons or our grandmothers who practised feng shui. One can also own more than one wealth vase to represent multiple sources of income and opportunities. Get a Wealth Vase that is associated to Period 8, such as a vase with the powerful 8 Auspicious Object. The base star #5 is located in the southwest of the Period 8 chart. This is also known as the "Five Ghost Giving Gold" position. Having a water feature in this sector throughout Period 8 can auspiciously bring about serious wealth luck for all houses. Also at the same time, the southwest is coincidentally the "indirect spirit" sector of Period 8. The "Indirect Spirit" is opposite the "Direct Spirit" (northeast). Again, having a water feature in the "Indirect Spirit" sector will activate wealth luck in a quick manner. Most houses built in Period 7 (1984-2003) would require renovation to give birth to a new Period 8 house. The born of a new house will reorientate the flying stars of your living or work space. The most auspicious flying stars orientations for houses in Period 8 would include East, West, North, Southwest and especially Northeast. Therefore it is recommended for such houses to be changed to Period 8 house. Houses that face south, southeast and northwest can improve the well-being of the whole family by changing them into Period 8 houses. In Period 8, the star #7 which used to be auspicious in Period 7 will start to become hostile. Therefore houses which used to enjoy great feng shui due to the Double 7 combinations or single Star#7 at the front of the houses will now start to turn bad due to the change of behaviour of this star #7. These houses will now be more susceptible to hostility, robbery, quarrel, violence, lawsuits, legal issues and hardship in life. For those who do not plan yet to renovate their houses into Period-8 houses, they are recommended to cure this violent star#7 with the most powerful cure which is the Nine Lions Enforcer with Secret Water. Place the lions facing towards the maindoor (inside-out) and hang the coinsword with the tip slanting down and facing outwards in your front area. Period 7 houses (built between 4 Feb 1984 - 3Feb 2004) that has violent star#7 in their center front portion of the house are houses that faces S1, SW1, W1, W2, W3, NW1, NW2, NW3, N2, N3, NE2, NE3, E1, E2, E3, SE1, SE2 and SE3. You may check out your directions from the natal charts in links to the webpage here. Because Period 8 belongs to the earth element, star #2, star #5 and star#8 will become stronger in nature. Out of the three, only star #8 is auspicious. The star #2 brings illnesses and deadly diseases while star #5 is the fatality star, and their effects are stronger in Period 8. It is therefore important to be aware of their presence in the flying star map of your house and remedy them permanently with the Five Element Pagoda, 6-coins Golden Wulou and 6-rods windchime. It is imperative to note that in every Flying Star map, you will find water star and mountain star in each sector. The water star brings wealth, while the mountain star brings health and good relationship (love and fame). Water star#5 brings bankruptcy while mountain star#5 brings fatality. On the other hand, water star#2 brings financial losses, while mountain star#2 brings long-term illnesses that would lead to death eventually. Therefore, it is most fundamental that a Feng Shui Master would remedy all these stars in every home when they come for an audit. Please click here to check out your individual home's afflictions according to the facing direction of your buildings. Also there is the annual affliction of these stars that you need to be aware of, for example in year 2004, 5-Yellow Star is in the center of every house and premise, while Illness Star #2 is in the SW of every house and premise. Annual afflictions are not to be taken lightly and must be remedied as well to complete the universal protection. The ability to uncover all these old complexities, which is now made simple by us will enable protection of your family against bad luck, fatality and illness caused by bad feng shui. Since star #8 is so strong and so auspicious in Period 8, everyone is recommended to activate the water star #8, mountain star #8 and annual star #8 to bring in wealth, promotional luck, overall success and utmost good luck. This could be done by placing "Wealth Turbocharging Pagoda", in the annual star #8 area of your house or corner of the living room. 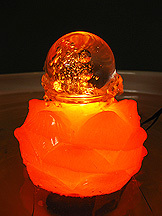 Round crystal balls are very auspicious to give you a smooth ride throughout the year. This special ornament can also be used to bring in Period 8 energy and good luck into your homes if you place it in the NE, because it has a ken trigram and it is this trigram and NE direction that rules Period 8 cycle(2004-2024) to provide you with good luck. Please ensure you also activate your home's personal siang sin (water star 8) to reap financial gains. This would be in accordance to your own flying star map of your house. The activation of the water star #8 could be done by placing a proper rolling ball water feature in water star 8 sector. Also worth taking note that in general, you could also place water features in the southwest of Period 8 houses to activate the "indirect spirit" of the house, that would be very beneficial and bringing in lots of good luck and good fortune to you. The indirect spirit is located in the SW for houses built in Period 8. The best form of water feature activator for water star#8 is the natural yellow crystal lotus with rolling ball. 1. First is the main door. Maindoor is the mouth of the premise and determines if new chi will enter the premise. Therefore, it is most important to have the maindoor changed. Try to place your maindoor in a sector where there are good flying stars so that the movement of the maindoor activates those stars. 2. Secondly, you must change the earth chi by placing new tiles in certain part of your house, such as the kitchen. 3. Thirdly, you must revive the new heaven chi into your homes by replacing your roof tiles partially at least. This would bring to a new reunion of mankind, earth and heaven chi and will give birth to a new period 8 house. The number one best house that has excellent and most desired flying star will be a house that is built in period 8 and facing either SW1 or NE1. The rest of the houses built in Period 8 are average or undesired. And almost all the other houses built in Period 1 to Period 7 are undesired. The influence of TIME and SPACE have equal importance and carries equal weight in one's feng shui. Therefore, buildings and roads in your surrounding, directions, symbolic feng shui, shapes and forms cannot be ignored even we are practising Flying Star feng shui in Period 8. In short, Flying Star formulas cannot be used in isolation. The most important form of feng shui will always consider the aspects of Four Celestial Guardians - Green Dragon, White Tiger, Black Tortoise and Red Phoenix formation. Since in modern homes and premises are hard to find such landscape formation, the Four Celestial Guardians symbols can be used to represent such formation to improve every house's feng shui. In the practice of Flying Star feng shui in enhancing good energy in Period 8, it is important to note that symbolic dimensions of feng shui cannot be ignored. Almost all afflictions would need different placement of symbols to cure and remedy when they are placed correctly. The same goes for auspicious stars, they need specific symbols or elements to enhance "sheng chi" too. Authentic feng shui symbols used normally are associated to auspicious plants, animals, fruits, Taoist deities and legendary animals.